The 400 SERIES of control components for checkout counter conveyors are compatible and interchangeable with similar components presently used throughout the industry. The principal system components are UL recognized (File No. E229847) for use in both the US and Canada, and have also been tested to prove compliance to FCC Part 15 rules regarding emission of, and susceptibility to, radio frequencies. The plug in base is the heart of the checkout counter conveyor control system and includes a 12 pin socket for the control module and connections to photo-electric sensors and various switches (such as on/off). Some versions also have accessory receptacles for convenience. Construction includes heavy gauge flame retardant ABS plastic case and sturdy painted steel cover. 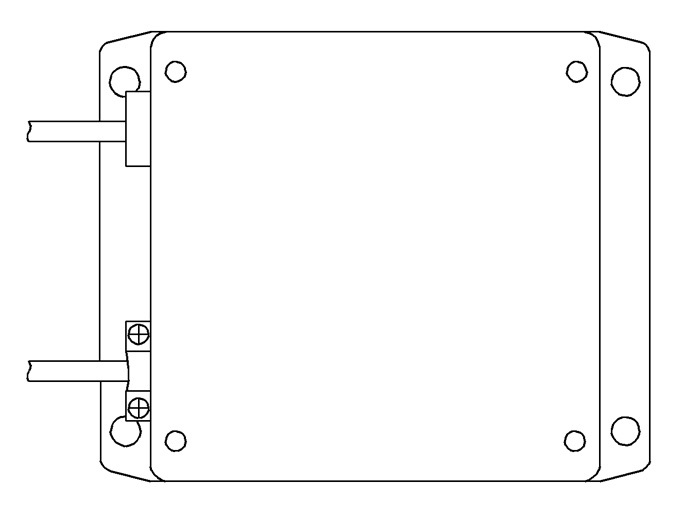 All plug in bases are easily customised with various incoming wire types and lengths. Contact us to discuss your needs! For use in one, two or three conveyor counters. Motors plug in via motor control box. 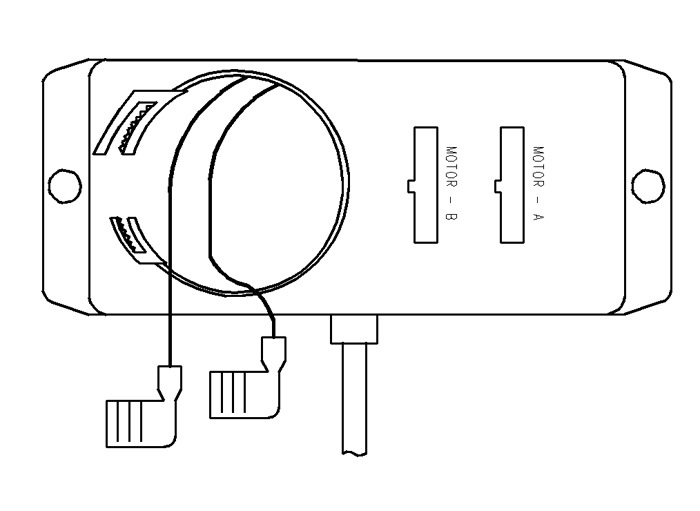 3 to 5 accessory receptacles depending on configuration. 3 to 6 accessory receptacles depending on configuration. For use in one conveyor counters with 4 or 5 wire motors. 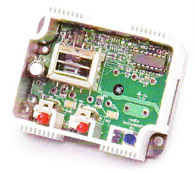 Motor and motor start capacitor plug directly into base. For use in one or two conveyor counters with 4 or 5 wire motors. 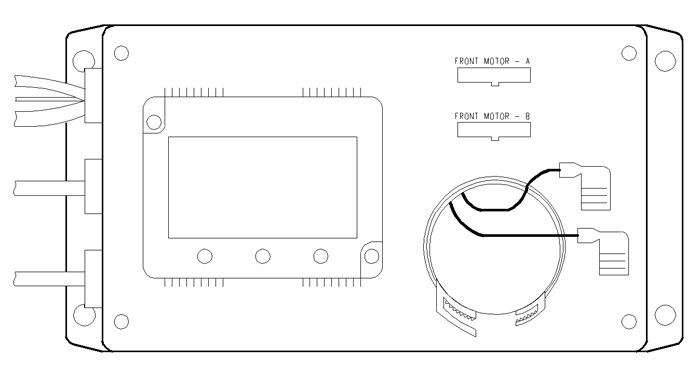 Front motor and motor start capacitor plug directly into base. Rear motor plugs in via motor control box. 1 to 3 accessory receptacles depending on configuration. The MCB401 acts as an Interface between a plug in base and a conveyor motor. Motor wiring is done inside this box by the customer. 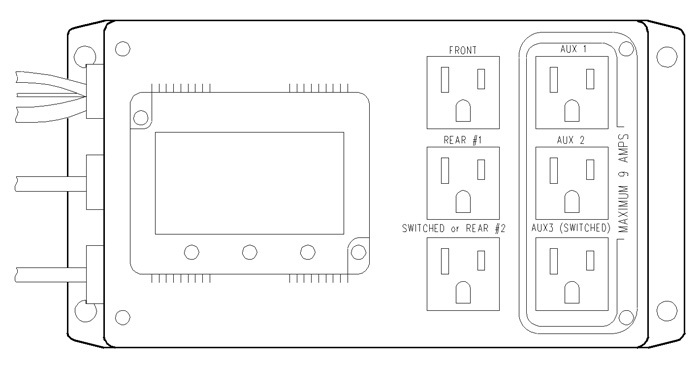 The MCB404 and MCB405 are more user friendly versions of the MCB401. The motor is plugged directly into the box eliminating any wiring by the customer. Control modules employ micro-controller based technology and miniature surface mount components, all conservatively rated for long trouble free service. The PC411 is suitable for counters having only a front conveyor with one pair of photo-electric sensors. When the beam between the sensor pairs becomes clear the conveyor will be triggered for 15 seconds or until the beam becomes blocked. The PC421 is configured for counters having a front conveyor operating in the same manner as the PC411 as well as a rear conveyor without photo-electric sensor. 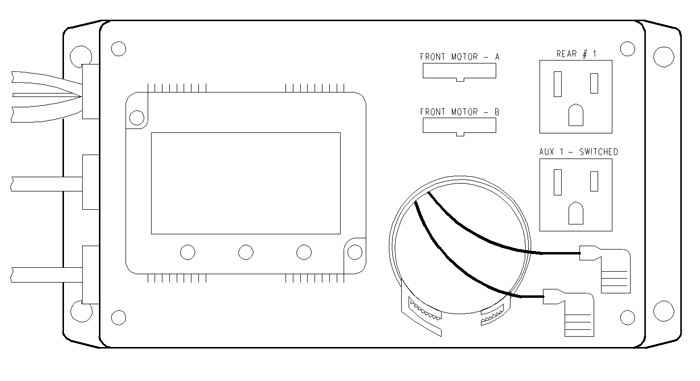 When the beam between the sensor pairs becomes clear the rear conveyor is "jogged" or turned on for a set period of time as determined by the dial control in the top of the module. Jog time is adjustable from 0 to 4 seconds as well as a continuous run of 20 seconds. Switching is interfaced with the PC421 to provide cashier and customer control of the rear conveyor. Holding the switch will run the rear conveyor until the switch is released. Tapping the switch quickly will run the rear conveyor for 20 seconds or until the switch is pressed again. The PC433 has been designed for counters having a front conveyor and two rear take away conveyors. The front conveyor and rear jogging behave as with the PC421. Rear jogging is directed with the use of a diverter gate which is wired to the RDS401 (Rear wiring distribution system) along with customer push buttons to control the rear conveyors and optional rear photo-electric sensors. 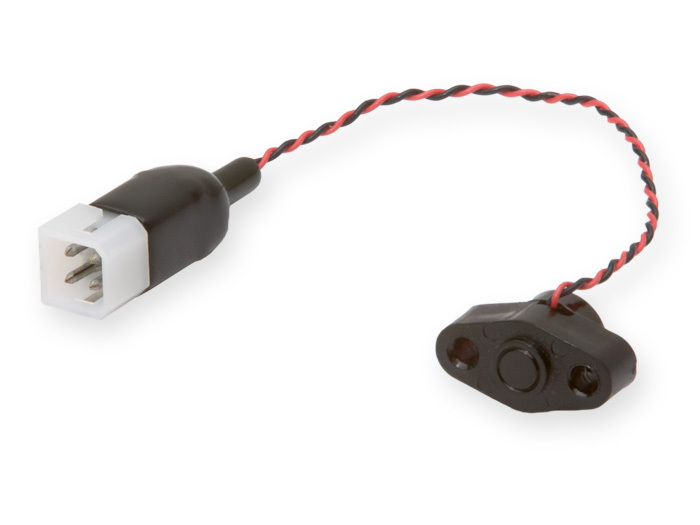 The PE401D / PR401D photo emitter and receiver assemblies are housed in a diamond shaped housing with 1/8" diameter holes on 11/16" centers - the holes allow clearance for #4 screws or will receive #6 self threading screws. 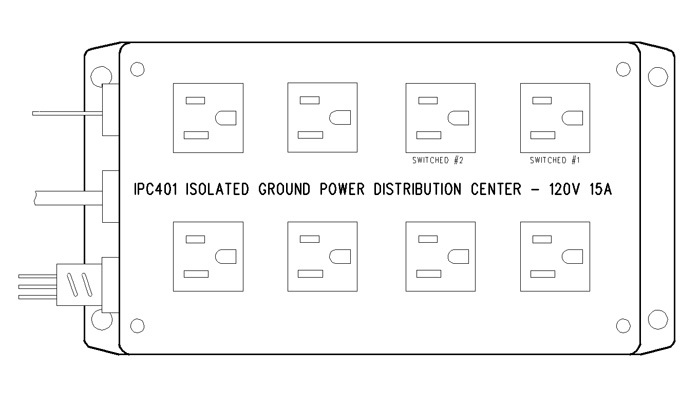 The IPC401 provides eight isolated grounded receptacles with the provision to separately switch two of these receptacles.